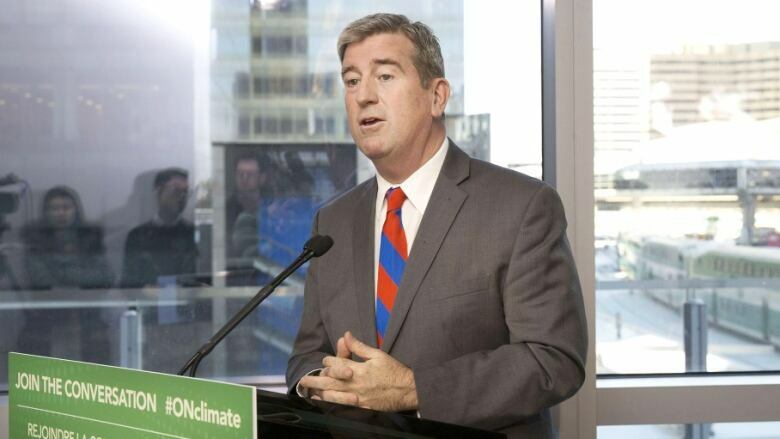 Ontario's Liberal government is promising all the details of its cap-and-trade plan to put a price on carbon and reduce greenhouse gas emissions will soon be public. Murray says there will legislation and a regulation that will spell out details of the plan, which will impose pollution limits on companies but allow them to buy credits if they exceed their limit or sell their credits to other polluters if they're under. Progressive Conservative Leader Patrick Brown says the Liberals have held several photo-ops to tout their cap-and-trade plan, but still haven't released any details.